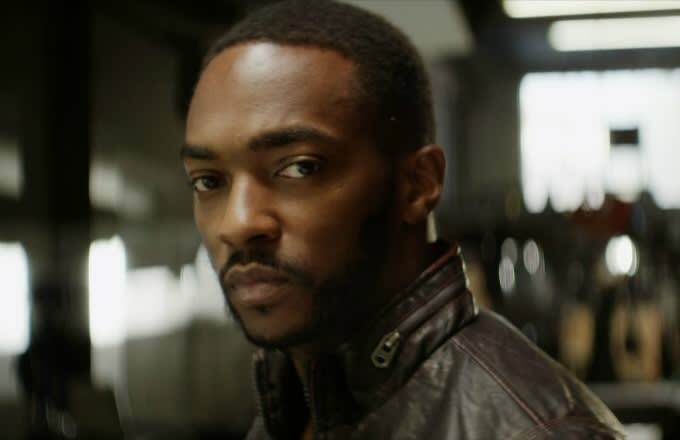 Anthony Mackie has slowly but surely become one of Hollywood&apos;s most dependable character actors. Whether he is playing complex, dark roles like his drug dealer with a heart of gold in Half Nelson, or helping protect the world next to Captain America in Winter Soldier, Mackie rarely disappoints. Now that his long gestating passion project is off the ground, he finally gets some legit leading man love: Mackie will be playing Jesse Owens in a biopic. The film will be written by We Are Marshall (in which Mackie also co-starred) scribe Jamie Linden and distributed by Relativity. Mackie has been attached to play the iconic track and field star for quite some time. There are currently two other Owens biopics in production, so chances are we could see Stephan James (of Selma fame, who is starring in Focus Features&apos; version slated for a 2016 release) winning those gold medals first. But Mackie&apos;s portrayal is definitely the most anticipated. Anthony Mackie vs. Hitler in the 1936 Berlin Olympics? Count me in.